CNN is reporting today that a new study shows that Chagas is a more deadly disease than was feared, and that a child with Chagas is two to three times more likely to die as a result of complications from the infection. The disease is spread by what is known as “the kissing bug,” a seemingly harmless name but one that is given because of where it likes to bite people as they sleep — around the mouth and lips. The bugs then defecate in the wounds they leave, allowing the parasite Trypanasoma cruzi to infiltrate the victim’s bloodstream and cause Chagas. The so-called kissing bug thrives in South American adobe homes and mud huts. One such community of mud huts where Chagas has festered is the village of Mizque, Bolivia. The Fuller Center for Housing of Bolivia, however, is stopping the bug in its tracks by replacing these shacks and huts with solid brick homes. 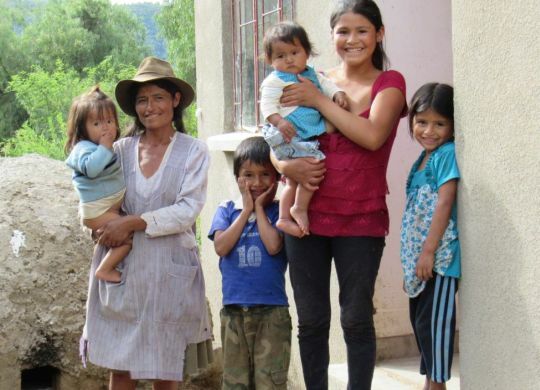 It is hoped that The Fuller Center’s 60-home community of safe, new homes in Mizque will inspire others to take note of the crucial role a simple, decent home plays in stemming not just the spread of Chagas but of many other diseases and illnesses. Studies have repeatedly shown that a child who grows up in a decent home does better in school, is happier, and, as this project demonstrates, has better health outcomes than those who grow up in poverty housing conditions. The Fuller Center for Housing in Bolivia is doing a great Job in Mizque. Good article that shows the reality of chagas disease and the live of the families.